Lately, I’ve noticed a surge in suspicious calls to my iPhone from Florida, and the callers always say the same thing. They claim that I have an unpaid debt that needs to be paid, and could they verify my social security number, please? Yep, that’s a scam call, alright. The best way to block calls from shady characters (like phony debt collectors) and spammers (like automated telemarketers and robocalls) is to simply hang up—or better yet, don’t answer at all. Call-blocking apps for iOS work their magic by matching the numbers of incoming calls with databases of known spammers and scammers. 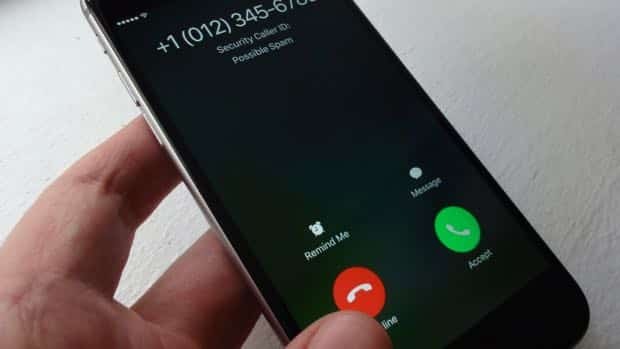 But while you can easily block calls of a specific number on your iPhone, doing so won’t stem the tide of scammers and spammers; after all, they’ll just call you from a different number next time. Luckily, a growing number of iOS apps (here’s a good list) can help block calls. These apps screen incoming calls and match the number of a caller against massive databases of known or suspected spammers and scammers. 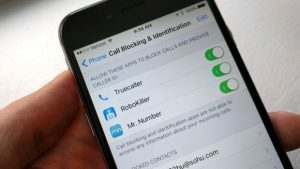 Once you enable one of these call-blocking apps using the Phone settings for iOS, any incoming call from a suspicious number will be flagged right on your iPhone’s screen, giving you the chance to send the caller directly to voicemail. First, you’ll need to pick one or more iOS spam-call filtering apps to install—and yes, you can install more than one if you like, although you don’t necessarily need to. To start screening spam and scam calls, just enable your installed call blockers in iOS’s Call Blocking & Notification settings. Some of the apps are completely free (like Mr. Number), others are free with paid “pro” features (like TrueCaller), and still others require a subscription, generally for a buck or two a month (like Nomorobo). I’d suggest starting with a free app like Mr. Number, and then (perhaps) upgrading to a paid app once you get your feet wet. Once you’ve installed an app that blocks calls, tap Settings, Phone, Call Blocking & Identification, then flip on the switches next to the call-blocking apps you want to enable. Now, sit back and wait. 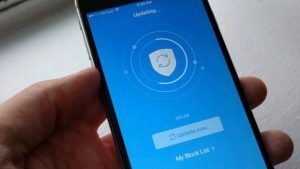 With any luck, your new call-blocking apps will flag the next scammer or spammer who calls your iPhone, and you can duck the call by tapping the Decline button. Want to send incoming spam or scam calls to voicemail automatically? If so, look for that option in the settings menu of the call-blocking app you’re using.